On May 22nd thirty-five years ago I climbed Mount Whitney, the highest peak in the 48 contiguous States, as a side trip from the Pacific Crest Trail, along with three companions. 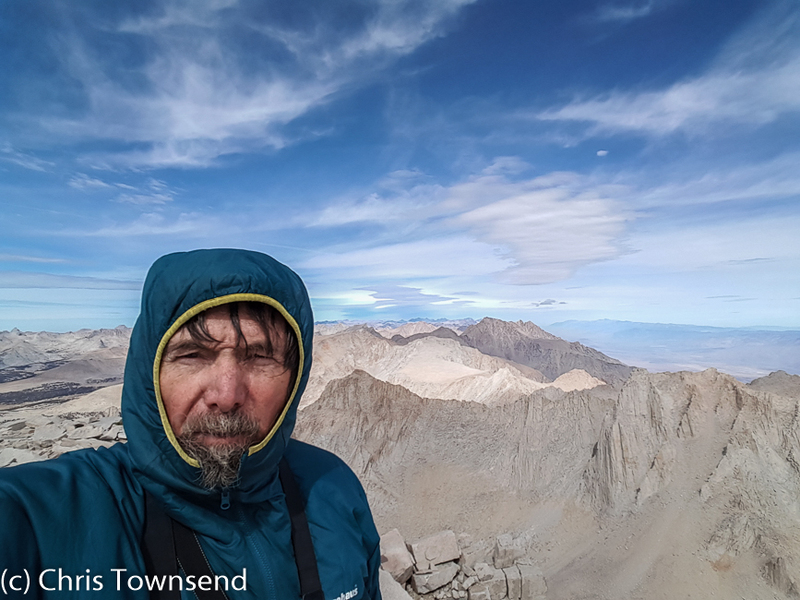 Last October I climbed the mountain again as part of my Yosemite Valley to Death Valley walk. 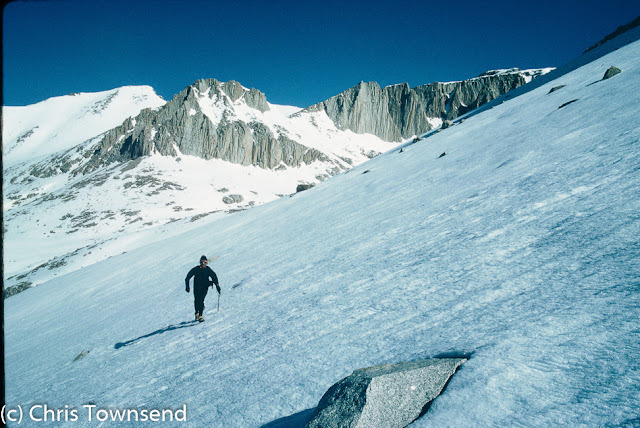 The two ascents couldn’t have been more different. In 1982 the High Sierra was still deep in snow. We climbed Whitney with crampons and ice axes, the summer trail only visible in places. The long narrow rocky crest that leads to the summit dome was banked up with snow and ice in many places. The drops either side were at times terrifying as we edged across gaps. 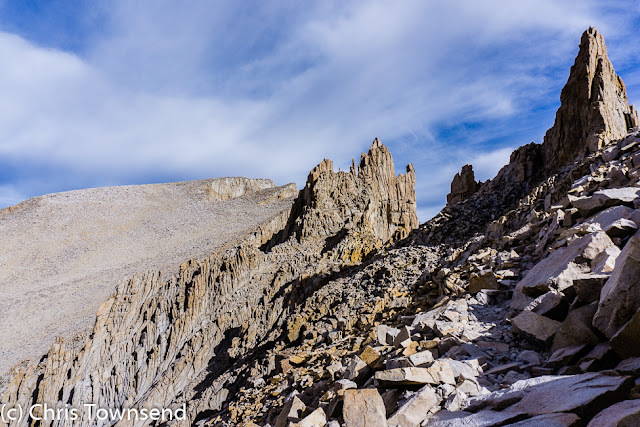 On reaching the big rounded summit we decided not to return the same way. 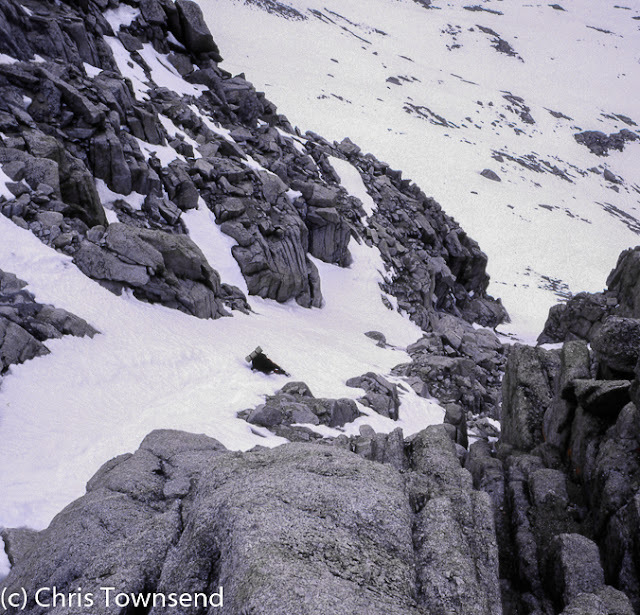 Instead we descended south on steep slopes then slid down one of the long gullies that split the face of the mountain. The 18 mile round trip from our camp at Crabtree Meadows took 13 hours. The view from the summit was alpine – snowy peaks stretching out into the distance. Last autumn the mountain was bare of snow, a world of rock. I followed the same route but this time on a clear trail the whole way. Without realising it I took a photograph through one of the gaps in the crest that almost matches one from my first climb. Oddly, the summit was colder on my second ascent than on my first as a cold wind swept the mountain. In 1982 the air was still and I’m on the summit without a hat. In 2016 I’m wearing the hood of my insulated jacket. 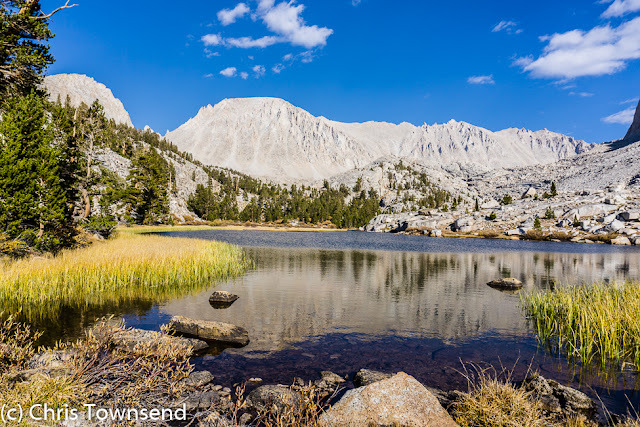 The distant views are of granite peaks rather than alpine mountains. On the PCT side trip we took two packs between the four of us (we only had huge backpacking ones) so half the time I was carrying nothing. 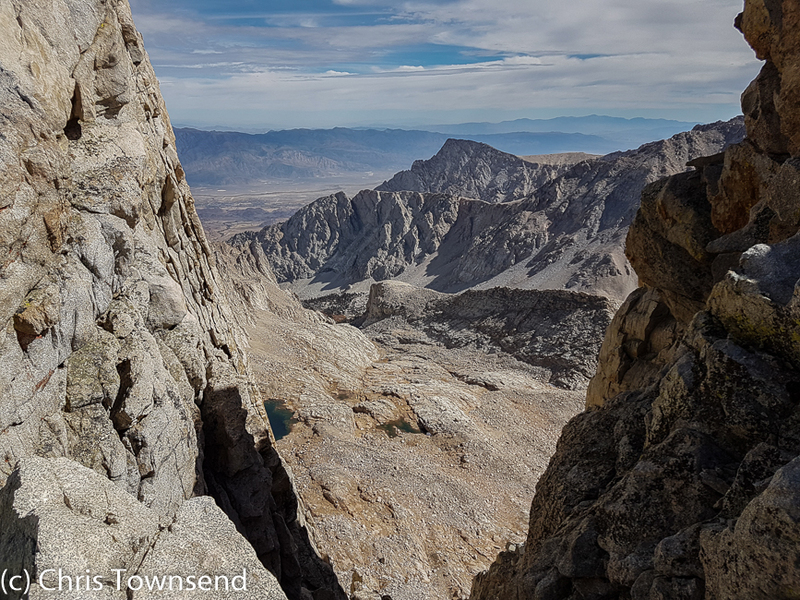 Last year I took my full pack to the summit and then all the way down to Whitney Portal on the east side of the mountain, a trip of 15 miles that took 10 hours. 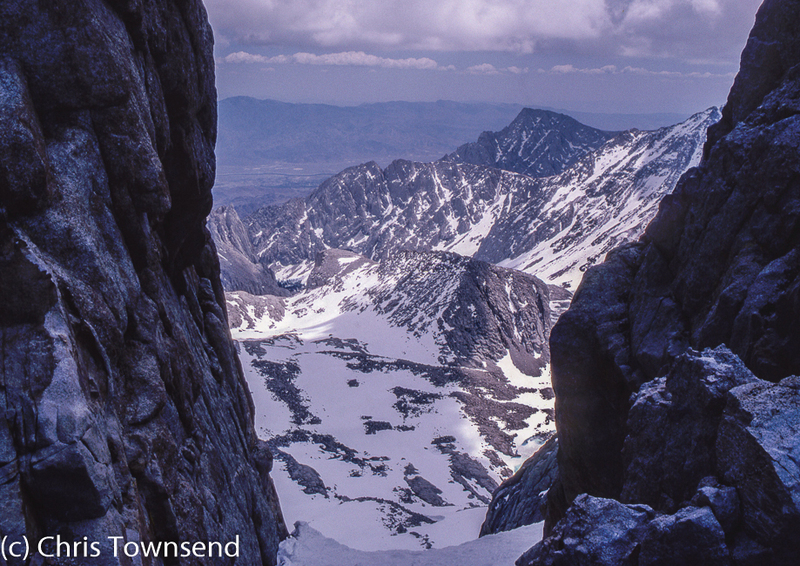 Looking at my old Kodachrome transparencies I can see how the deep snow transformed the mountains. It’s the same place I was last October and yet a different one too. 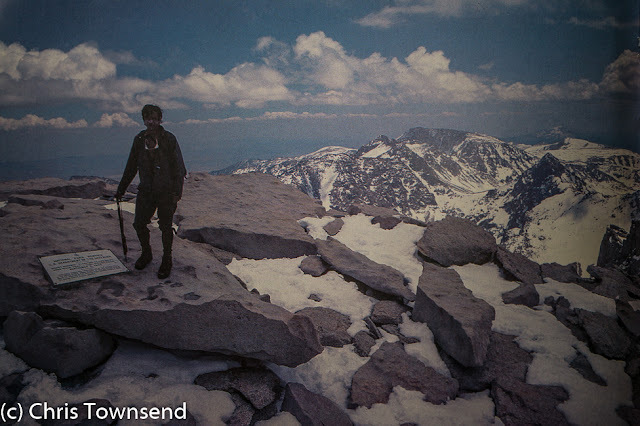 I’m the same person too, and also a different one with 35 more years of wilderness wandering to look back on. 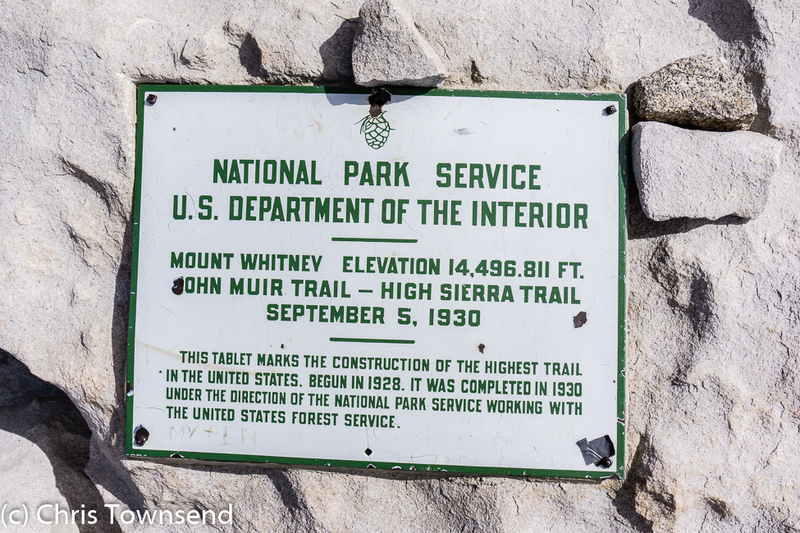 Mount Whitney was magnificent in 1982. And in 2016.